Seventeen-year-old Andie is the type of girl who always comes up with the perfect thing to say, after it's too late to say it. She's addicted to romance movies but has yet to experience her first kiss. 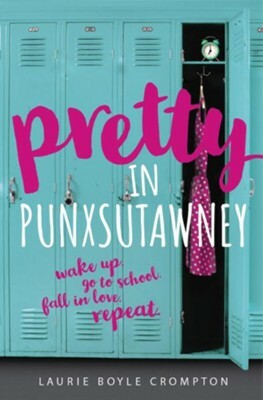 After a move to Punxsutawney, PA, for her senior year, she gets caught in an endless loop of her first day at her new school, reliving those 24 hours again and again. Convinced the curse will be broken when she meets her true love, Andie embarks on a mission: infiltrating the various cliques to find the one boy who can break the spell. What she discovers along the way is that people who seem completely different can often share the very same hopes, dreams, and hang-ups. And that even a day that has been lived over and over can be filled with unexpected connections and plenty of happy endings. 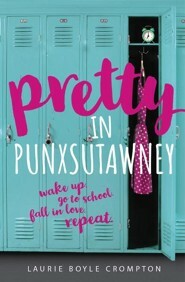 I'm the author/artist and I want to review Pretty in Punxsutawney.